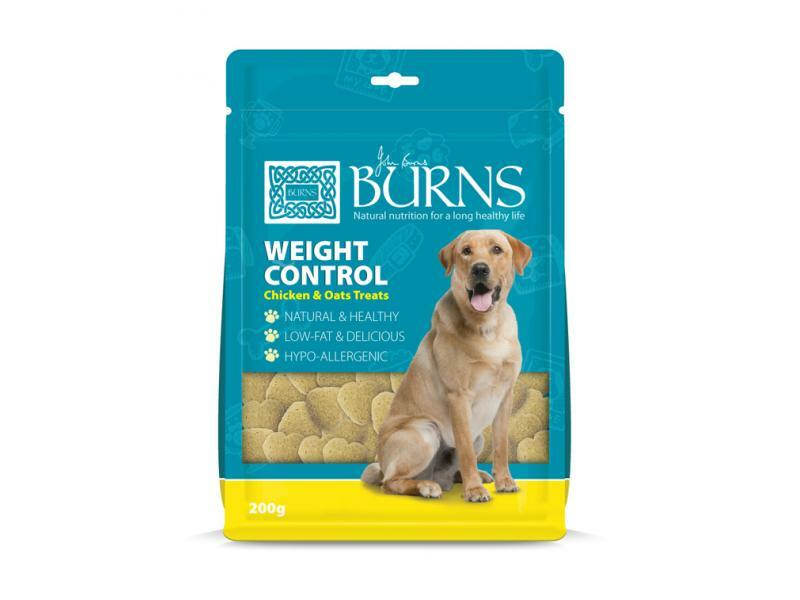 Burns Weight Control+ Chicken & Oats is a unique formulated recipe designed for dogs suffering with weight-management and diabetes. The ingredients combined in the food are high in fibre and completely hypoallergenic, ideal for all breeds of dog with allergies and sensitivities, often exacerbated by more conventional dog foods. The high oat content makes the recipe nutritionally balanced and palatable, as well as containing a healthy blend of vitamins and minerals to promote optimum health and vitality. Oats (55%), Brown Rice (18%), Chicken Meal (17%), Peas, Chicken Oil, Seaweed, Vitamins & Minerals. Below are some recent questions we've received regarding Burns Weight Control+ Chicken & Oats Adult & Senior Dog Food, including answers from our team. Can this be used as continually as normal meals for maintaining weight or is it purely for weight loss? Burns Weight Control can be used as a maintenance diet. You should follow the feeding guidelines and adjust as necessary to keep your dog the required weight.